Frl.Fröstelig: Use what you have! If we look closely there is a nearly finished muslin of the pattern "Valeska" by Farbenmix. It misses the elastic waist and the hem. 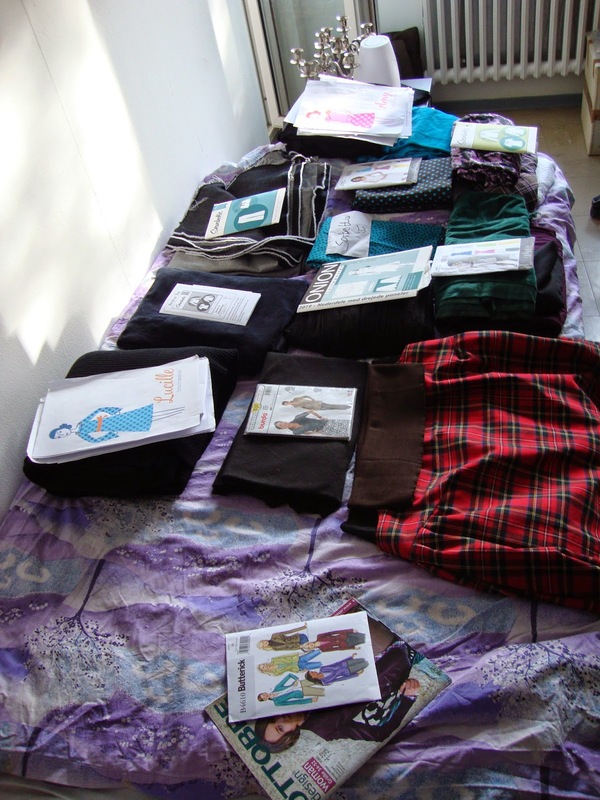 The other projects are pattern/fabric combinations where I didn´t started at all and some pattern I'd like to try soon. Ottobre pattern magazine blouse and blazer as well as a simplicity blazer. -a tone-in-tone fabric for a sleeveless blouse, an Onion Banana skirt with a cut-out fabric, "Sorbetto" muslin of the rest of a curtain, brown with dots fabric for a "Vogue" dress and the main fabric (teal/turquise condory) for "Amy"
-said "Valeska" that is to bring to an end, muslin and mainfabric for "Vogue 8607(?)" and three jerseys for "Renfreys". I can´t participate in Me-Made May, but I want to use May to make a Me-Made-Wardrobe. Black is not the most flattering color for me, but I have those fabrics and will use them now. 4.) pants= muslin and real "Thurlow." I want to make a shorts version as a muslin. This is a large scale project. 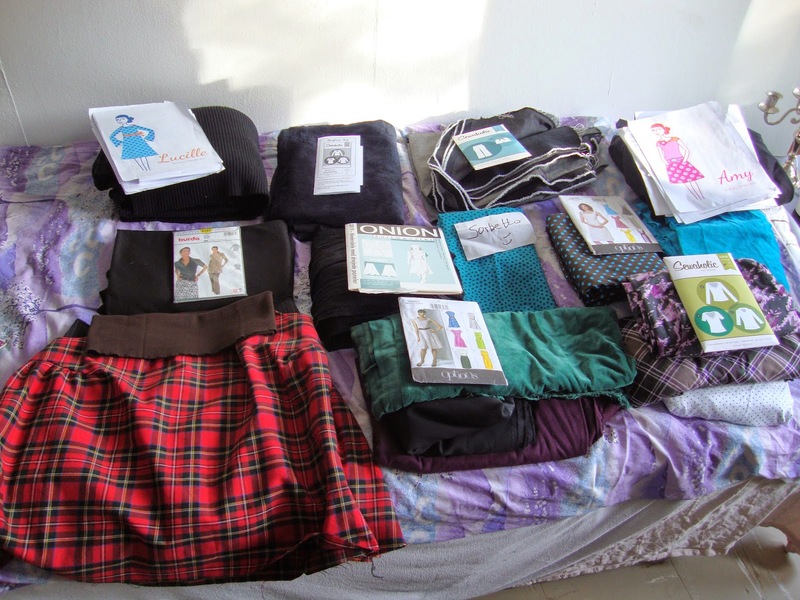 Hereby I pledge, not to buy new patterns or fabrics till I have finished the above projects!